Victoria-based consulting and supply chain development company Anywise Consulting may have only been in the game for just over three years, but it is already kicking goals in the world of defence industry consulting. Director of Anywise Consulting Adam Evans, a former officer in the Australian Army, told Defence Connect the company's rapid growth has not changed their main focus – staying ahead of the big companies and adapting to the changing defence industry. "We were growing so quickly to be a multimillion-dollar company ... that's our main focus – innovative project teams and specifically we've tried to stay ahead of the big companies, so stay ahead of the Thales, the KBRs, the Jacobs, stay ahead of the Kinetics, because we saw that defence was changing its focus," Evans said. "So that's been moving towards any very common smart buyer. We foresaw that those larger companies, many of which are encumbered by European or US governance, were gonna have trouble starting some of this responsive support with meeting demand and deliver. "So we've got a lot of work. We actively shape good people, essentially pre-clear them to work with us and then look for opportunities such as LAND 155 ... [and] make sure that when and if we do get a seat at the table, we can present them a list of resources that they will find very hard to say no to." Evans said the the Anywise Consulting team is made up of principal consultants with years of expertise that are entrusted with building relationships with the defence primes, but also bringing SMEs into the supply chain. "I've recruited five principle consultants into the company, all of whom are 20 or 30-year veterans of running their own business or working for multi-national companies," he said. "They ... have a responsibility of securing long-term relationships with the big companies – so primes ... but we aim as far as we possibly can to bring that corporate experience there and apply it to SMEs. "There's some great Australian companies out there in the wilderness that are bleeding to death because they can't find an opportunity inside ... the spotlight of defence is very much held by the primes." But Evans said, slowly, SMEs are gaining more exposure and collaboration opportunities in the industry through companies like Anywise Consulting. "Through some of the relationships we've built with the primes, we get a little bit of exposure to some of these smaller companies," he said. "We provide the steering and guidance and governance in some places. So the project management of those pursuits and then the programs themselves." And while Evans said companies are primarily about making money, in this instance, there is the added benefit of helping smaller Australian companies break into the defence industry and supply chains. 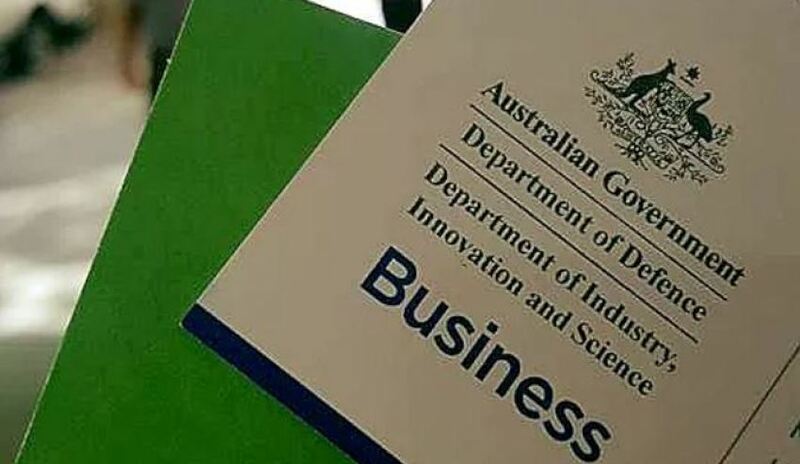 "It's a money-making enterprise but [it is] also looking for opportunities to apply some of that knowledge to particularly small Australian companies that in the past may have struggled to see sales in defence," he said.